As the new year approaches, over a million people will make the pilgrimage to Pasadena, California for the Rose Parade. 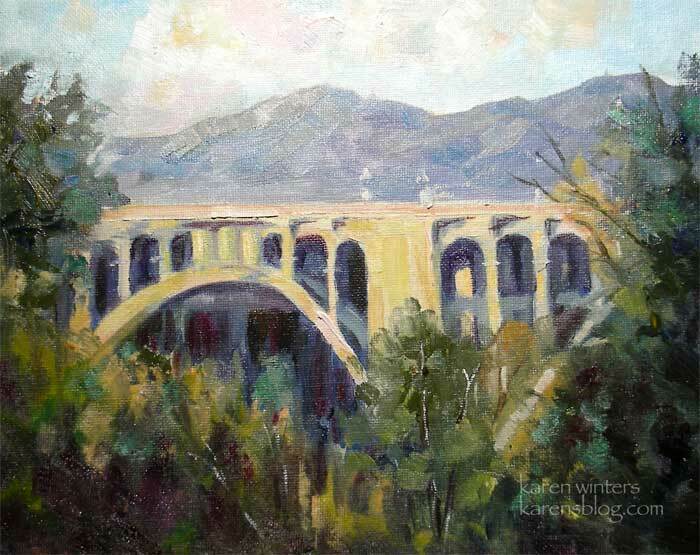 And perhaps one of our most elegant local landmarks is the Colorado Street Bridge, which I’ve painted several times this year and will no revisit in 2008. It spans the Arroyo Seco, along with the 134 freeway bridge, which can be seen in the background. July. “Sunset Trail” The Cobb Estate in Pasadena is a wild place in the foothills that is just minutes from the downtown. 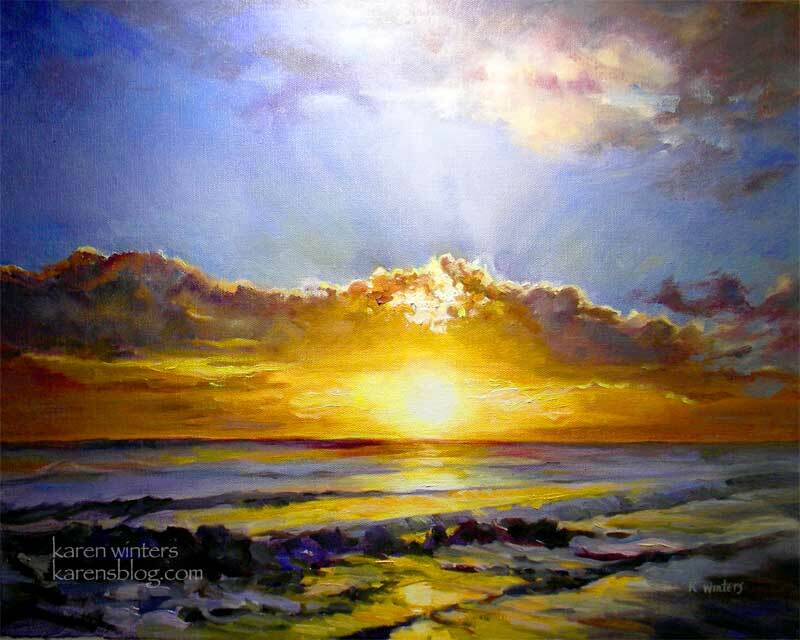 This painting gave me the opportunity to paint a sunset glow – a theme I’d continue throughout the rest of the year. August. 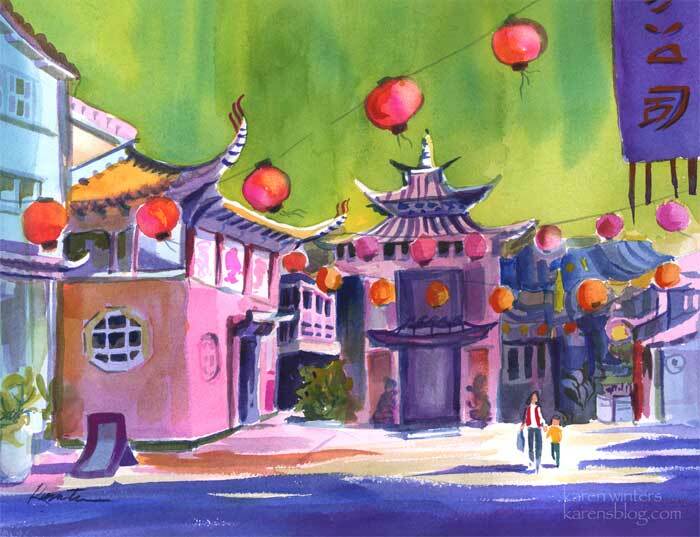 This painting was done as an entry into a California Art Club juried competition – featuring scenes of Pasadena and the San Gabriel Valley area. It’s hanging at Marston’s restaurant right now. I wasn’t doing a lot of architectural subjects at that time, so the challenge was a good one for me. September. 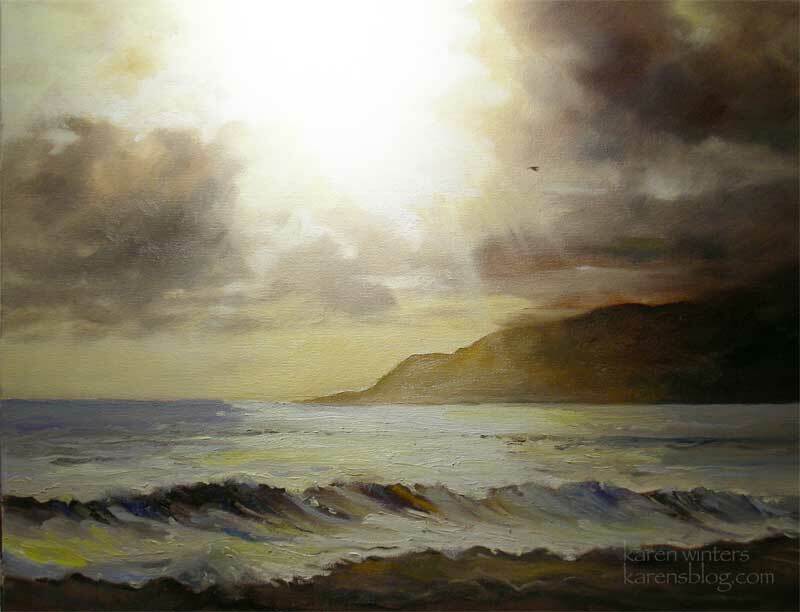 This painting, of Zuma Beach at Malibu, was painted for my first show at the Descanso Gardens Gallery. November. 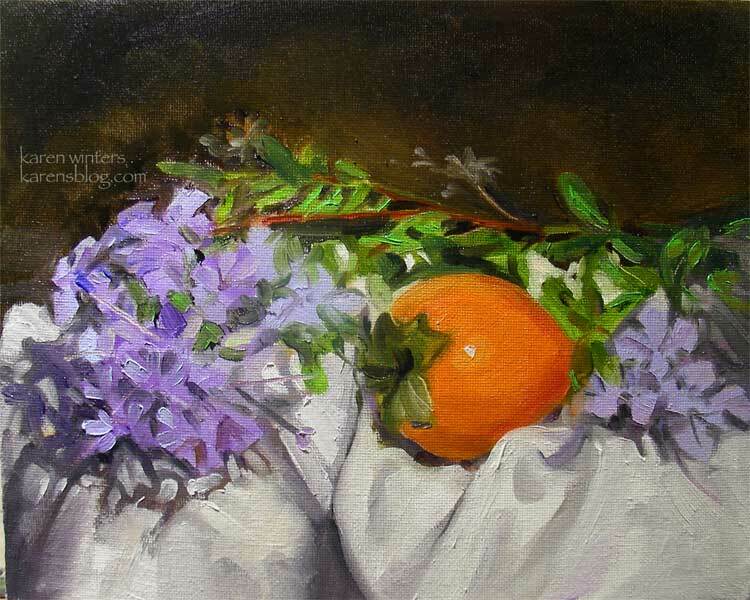 With fall persimmons appearing in the market, I picked up a few and painted a classic realistic still life setup with a complimentary color scheme. 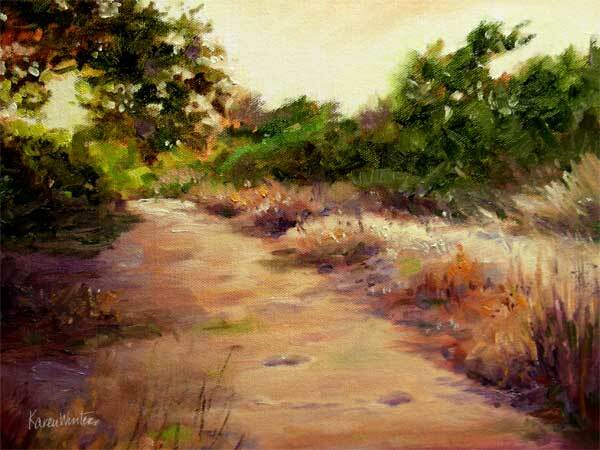 This painting is currently at the San Gabriel Fine Arts Association Gallery at the Artist of the Year show..
December. If I had to pick one favorite painting of the year, this might be it Another sunset seascape, but more chromatic than Winging Home. 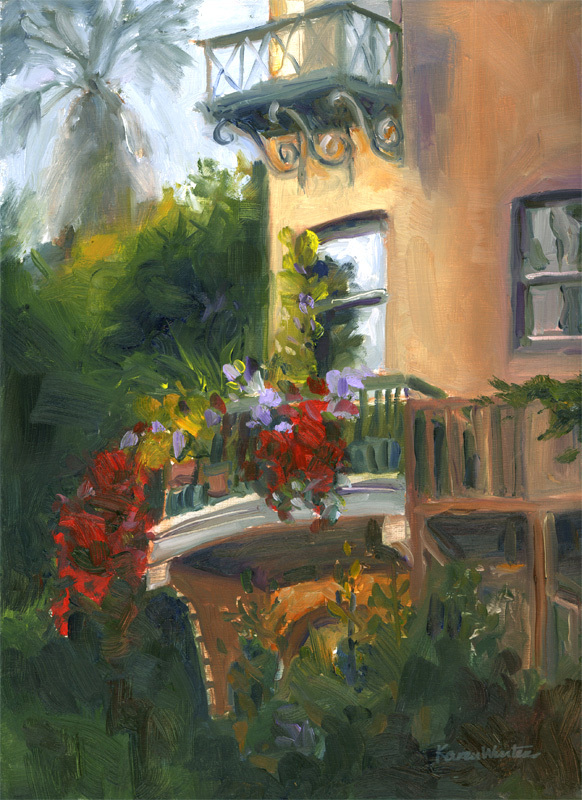 This painting is currently at the Descanso Gardens Art Gallery in La Canada Flintridge. Wonderful series of paintings – part 1 and 2! Thanks for sharing. My favorite is August. Your work is just getting better and better. You did well in 2007. Congratulations!